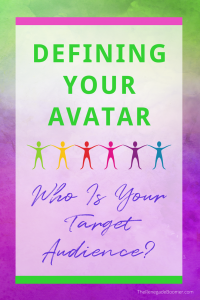 Having trouble figuring out what the heck an avatar is, or how to find target audience examples you can relate to? Let’s tackle that one today. 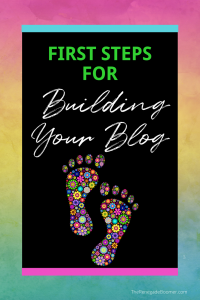 A common misstep many bloggers and marketers make when first starting out, is busting your behind churning out blog content and trying to create products before you are clear about who your “perfect person” or prospect is. Figuring out and defining your target audience will immediately put you in a much better place to speak with them effectively, both through your blog posts and your emails. It will absolutely help you determine what types of products they want that you can create for them, before wasting time on something they’re not even interested in. Probably one of the biggest mistakes you could make when starting your blog is to fall into what I call “Field of Dreams” thinking…if you build it, they will come. Wrong. 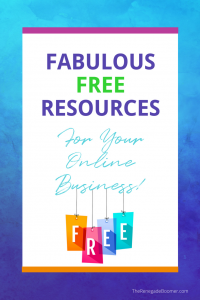 It is absolutely essential you understand exactly who you are reaching out to, through your writing, your blog topics, your content, and eventually, the products or services you will create. Keep in mind, the most successful blogs are built on the solid foundation of wanting to HELP your readers. This could be by providing tangible solutions to your avatar’s “pain points” and problems, encouragement or guidance with their fears, frustrations, and struggles, as well as virtual high-5’s and applause for their triumphs. The bottom line is your blog is all about THEM, not you. But again, your goal isn’t to talk to a crowd. Yep, it’s time for you to do some super sleuthing and getting clear on exactly who your “ideal person” is! We call this one person your AVATAR or TARGET AUDIENCE. But you can also call them your ideal prospect, persona, archetype, or even perfect “peep” if you want! The point is, it’s your job to discover the “evidence” necessary to construct a persona or customer avatar who represents exactly who you’re writing to. This will be an imaginary personality you’ll probably create yourself, but you can also model them off a real person if you already have an ideal client, or know someone who would be that perfect prospect for you. Tina’s Tip: Here’s a new angle to consider. Jump into your “way back machine” for minute. What do YOU wish you’d had help with five years ago? What have YOU struggled with? You may even find your avatar is a lot like YOU once were! Strive to be as specific as possible. Your avatar should practically leap off the page as a living, breathing individual. You can even name them! Then in everything you write or create, keep your avatar, that ONE ideal prospect, in mind. Talk to them as if you were sitting down for a cozy chat together. Have a conversation with them, talk TO them, not AT them. Just Write It Like You’d TALK It! Tina’s Tip: If you’re really feeling stuck or confused, try recording yourself actually talking! Talk to ONE person, your avatar, without self-editing or overthinking it. Talk It. Listen to it. WRITE it. You could even have it transcribed, and then work from there. Then read what you wrote aloud. If you stumble reading it aloud, tweak the “awkward” till it flows smoothly and naturally. You’ll soon discover writing conversationally has become second nature! Don’t try to overthink the process. Simply have an authentic conversation and you’ll be miles ahead of stuffy, corporate-speak. If you’re thinking this sounds like a bit of work, you’re right! And it is absolutely critical to your long-term success. That means, you need to devote some time to rummaging around on the Internet. 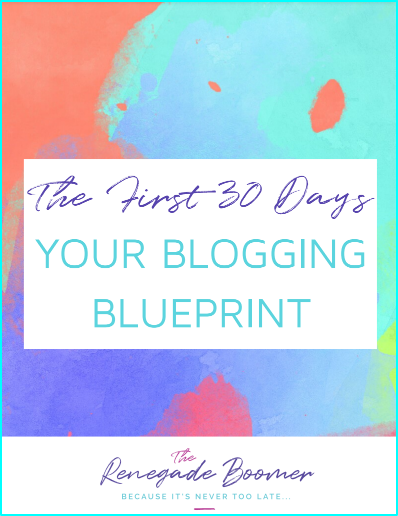 You might begin by looking for comments on blog posts in your niche. Find out what’s being talked about in private forums or Facebook groups, what questions they ask, and what frustrations they share. It’s amazing what you’ll learn by doing this. You’ll probably begin noticing patterns and common themes. And hey, you can even have real live conversations! 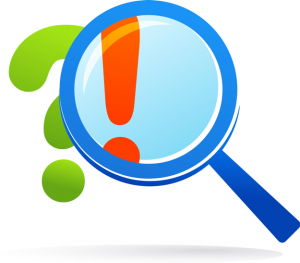 You’ll unearth surprising hidden treasure by simply ASKING. Ask questions of people you know, work with, or have connections to, who might be in your target audience. Yep, just like that. Digging into some research. Asking. Listening. Reading. Paying attention. And asking some more until you truly understand. As you begin to piece together more insights about your avatar, you can take it a step further by keeping some specific questions in mind…find the answers to them and you’ll be well on your way to identifying YOUR target audience! Do they have kids? Pets? How many? What does your ideal prospect’s typical day look like? What bugs the heck out of them, and really trips their trigger? What kind of challenges or obstacles are they facing? What motivates them and keeps them going? What kind of things are unimportant to them? What do they want to learn about and why? What kind of solutions do they turn to Google for? These are just a few questions to rev up your engines and get you going. 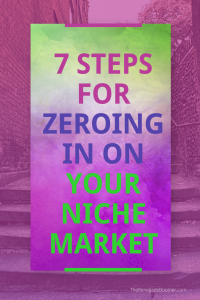 To make this even easier for you, I’ve created a FREE resource, that includes a step-by-step blueprint you can follow to help zero in on your ideal prospect. TALK TO THEM: Yes, like actual conversations. Try for 5! Offer free advice or a short blog analysis in return for them speaking with you. Interview someone who might be an ideal client. Post a request on your Facebook page or in an online group. Send out an email inviting them to a conversation. Instant Message someone you’ve been talking to on Facebook. WATCH & LISTEN: Hang out where your ideal prospects are. Go to Amazon and read reviews for books in your niche. Spend time on forums or Facebook groups and read their comments. SUCCESS LEAVES CLUES: Observe what they are saying and asking for. Are they saying how much they need something? Do they get excited about the potential for an answer? Do they indicate they’d be willing to pay for coaching or a product? Do they actually get specific about what they wish were available to them in a training? LEARN THEIR LANGUAGE: This one is GOLD for you! Watch for similar phrases that pop up over and over again. Notice the exact words they use to describe their problem or issue. Keep track of how many times similar words are used. What are they saying they want? Keep a simple Word document or spreadsheet so you can eventually create a word cloud to identify exact words used the most. Tina’s Tip: Incorporate some of their exact words into your copy, both in blog posts and emails. You’ll instantly increase your effectiveness, and your ideal prospect may just feel like you’re reading their mind! You’ll find out exactly WHO your people are. You discover WHAT they’re looking for. WHY they need your help will become much clearer. You’ll soon see WHERE they are gathering online. WHEN you speak their language, your prospects will bond with you because they feel like you are talking directly to THEM! know HOW to become the solution for them. This is why laying the ground work for all of this is so important! You’ll learn SO much about who your people are, what makes them tick, and best of all, how you can provide exactly what they’re looking for. Your effectiveness will instantly multiply, as you find it easier and easier to create the kind of content they will love, and maximize the effectiveness with your emails. 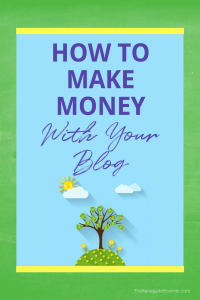 These are the steps you need to take to increase your reach, and start making money with your blog that much faster. How much more effective can you be promoting targeted affiliate products when you know what your prospects truly want? How many more subscribers will be eager to opt in to your list when you speak their language, and provide quality content for them? How much more fun and rewarding will it be when you begin to create products they are already asking for? I have a feeling you may be seeing the benefit of all of this. 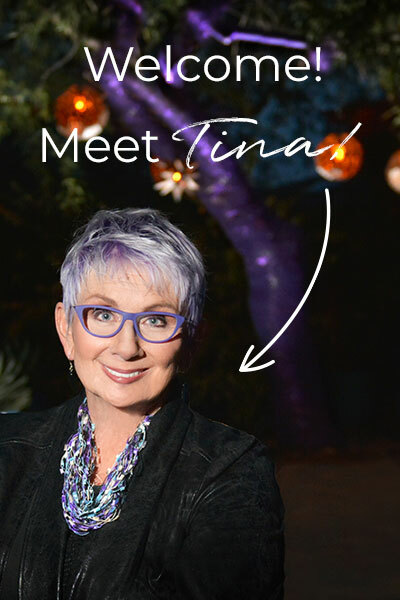 Tina’s Tip: Remember, while we may use jargon like avatar and target audience, the most important thing to remember is we’re talking about real people, just like you, and just like me. Your ideal prospects need to be more than a number, or a dollar sign to you. 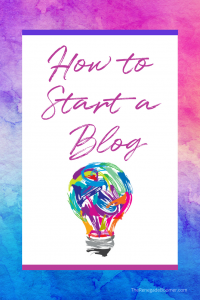 Your first purpose should be to provide thoughtful solutions and value to every person you deal with through your blog, or any other marketing strategies you may implement. It’s always PEOPLE first. 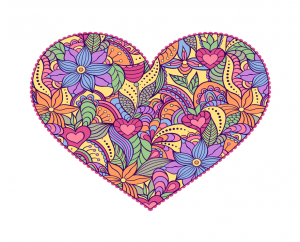 Lead with your heart. Keep this front and center as your purpose, and honor your audience by delivering quality content, being authentic, and staying in integrity. Get out there and have fun! It really IS fun getting to know your people.